For example, some fall risks may be minimized or eliminated using a simple passive fall protection system (such as a railing or enclosed catwalk), while others may require an active fall protection system (such as a portable gantry with harness and self-retracting lanyard, or a fall arrest harness). Choosing the right equipment for each hazard can save your business both time and money, while avoiding redundancy. Manufacturers who provide concept, design, and custom fabrication can work with you to create a fall protection system that’s a perfect fit for your facility. There are two key areas in which business owners can plan for potential workplace falls. 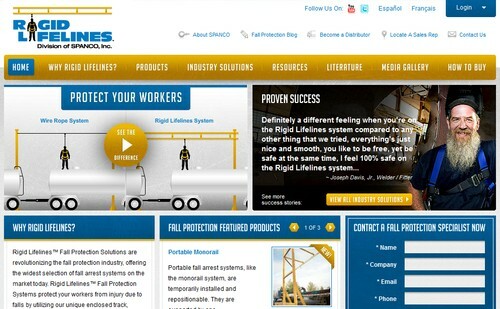 One is to properly train workers in the correct use of each piece of fall protection equipment. That means creating a training program that familiarizes workers with the equipment, promotes detailed equipment inspection, and addresses proper use of equipment. A second and invaluable element of planning is the creation of a detailed fall response and rescue plan. Even when a fall protection system performs as it should, the risks of prolonged suspension persist. Severe health consequences can be sustained after as little as 15 – 30 minutes of prolonged suspension, so it is critical to have a plan in place to safely lower a suspended worker to the next stable lower level as quickly as possible. Also, each participant in the rescue plan must know his/her specific function and be prepared to perform it properly at a moment’s notice. Each of these factors can prove life-saving in the event of a fall. Know and prioritize the risks within your facility. Select the proper customized or prefabricated equipment to most appropriately address each potential hazard. Plan ahead to be sure your workforce understands the fall protection systems in place and is able to respond quickly and effectively in the event of a fall.